The written history of Nevis begins with the account recorded by <?xml:namespace prefix = st1 ns = "urn:schemas-microsoft-com:office:smarttags" />Columbus when he sailed by Nevis in 1493. The name Nevis is derived from "Nuestra Senora de Las Nieves" which means "Our Lady of the Snows," because of the cloud capped mountain reminding Columbus of snow. Prior to the Columbus saga, Nevis was named Dulcina "Sweet Island" by the Arawaks and later Oualie "land of beautiful waters" by the Caribs. Later in the 18th century Nevis became known as "Queen of the Caribees." Evidence of pre-ceramic people abounds with finely crafted stone tools and intricately coloured pottery found. Over the years Nevis has made a number of significant contributions to the Caribbean and the World. Two men who played part in international history were Alexander Hamilton and Lord Horatio Nelson. 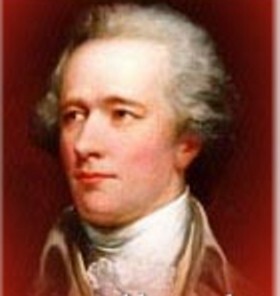 Hamilton, one of the founding fathers of America and its first Secretary of the Treasury was born on Nevis on January 11, 1757. Nelson, Britains most famous admiral, used Nevis as a base of operations in the mid 1780's and married a Nevisian, Frances Nisbet in 1787. 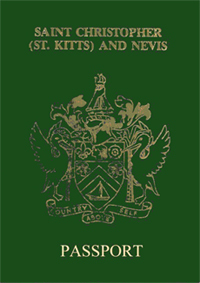 Nevis continued to be part of the British colonial holdings until 1967 when it achieved Associated Statehood with St. Kitts. On September 19, 1983, Nevis became part of an independent nation and form part of the sovereign democratic state of St.Christopher and Nevis. 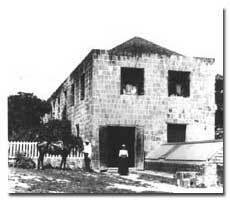 It has the unique constitutional arrangement of being part of the Federal Parliament while having a separate parliament and its own Nevis Island Administration headed by a Premier. Alexander Hamilton was born on January 11, 1755 in <?xml:namespace prefix = u1 />Charlestown on the West Indies island of Nevis. He was born out of wedlock to Rachel Faucitt Lavien and James Hamilton, who abandoned the family in 1765. A local clergyman raised funds to send Alexander away to school in 1773. He entered Kings College (now known as Columbia University) in 1774. In the Revolutionary War he distinguished himself in the eyes of General Washington who made him one of his six aides-de-camp (secretaries) in 1777, and rode beside him in the battles at Brandywine, Germantown, and Monmouth. Hamilton married Elizabeth Schuyler in 1780, with whom he had eight children. The Federation of St. Kitts and Nevis consists of two islands in the Lesser Antilles, eastern Caribbean south of Anguilla, west of Antigua and north of Montserrat. The Federation of St. Kitts and Nevis are served by the Eastern Caribbean Supreme Court with the final Court of Appeal being the Privy Council in London. 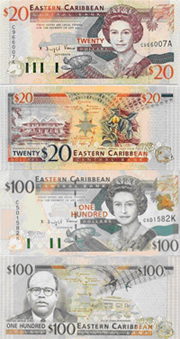 The official currency of the island is the Eastern Caribbean Dollar (ECD) which is shared by eight states throughout the Eastern Caribbean and controlled by the Eastern Caribbean Central Bank. The ECD is pegged to the United States dollar (USD) at ECD 2.70 per dollar. The USD is generally considered to be a second currency and is freely accepted and interchangeable throughout the island. The exchange rate versus other currencies fluctuates accordingly to world money markets. Furthermore, all major credit cards are readily accepted throughout the island. The principal industry on the island of Nevis has historically been agricultural and in more recent years, tourism but with the enactment of the Nevis Business Corporation Ordinance in 1984 the government turned its attention towards building a financial services industry. While not as well known as its British Virgin Islands -cousin the Nevis Business Corporation is a proven tax exempt vehicle of choice for many financial planning practitioners. In addition to being extremely flexible the licensing fees attaching to these companies are always likely to remain competitive. In 1995 the government of Nevis added to its range of tax exempt vehicles by enacting The Nevis Limited Liability Company Ordinance. This legislation creates an entity which can be treated as a corporation or a partnership for tax purposes in a number of advanced economies and particularly in the USA. Additionally, Nevis has trust legislation which when used in conjunction with the either the Nevis Business Corporation or the Nevis Limited Liability Company can be extremely useful in the preservation of wealth. There are three international banks, one offshore bank and several regional and local banks represented in Nevis. 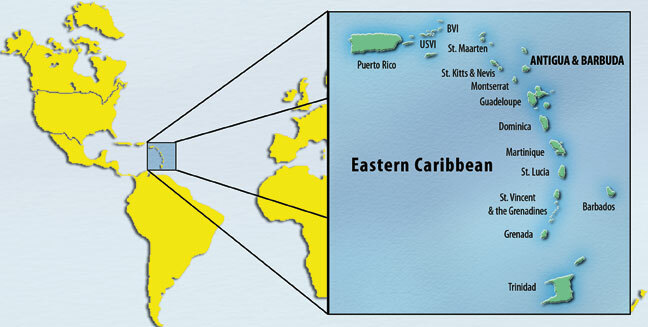 In addition, the Eastern Caribbean Central Bank, the Eastern Caribbean Home Mortgage Bank and the recently launched Eastern Caribbean Stock Exchange have their headquarters in Nevis sister island of St. Kitts. 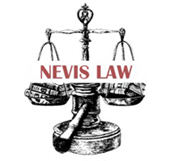 The legal profession is represented by Barristers and Solicitors of the High Court who are allowed to practice before the courts in Nevis and St. Kitts. Additionally, one of the five major international auditing firms along with several competent and professional accountants are represented in Nevis. Several well-established trust and asset management companies are also available to assist investors. To complement its international financial services sector, Nevis has a state of the art telecommunications system. 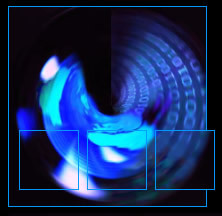 Its modern network permits smooth and prompt telephone, telex, facsimile and internet connections throughout the world. Nevis is four hours behind Greenwich Mean Time (GMT - 4). Nevis has recently completed renovation of its Newcastle Airport that includes the building of a state-of-the-art tower and a 4,000 feet runway which accommodates Dash 8, ATR 72, Lear Jets and Falcon 50 airplanes similar to those run by American Eagle in the Caribbean area. International Courier services available include Federal Express, DHL and UPS. There are no personal income taxes in Nevis. However, local companies are subject to a corporate tax on profits. Nevis international financial services sector offers numerous taxation benefits to offshore companies, limited liability companies and trusts. These include exemption from income taxes, social security taxes, capital gain taxes, withholding taxes, gift taxes, estate and succession taxes. Under the Fiscal Incentives Act, several enterprises qualify for tax holidays, such a concessions and full exemption from import duties on parts, raw materials and production machinery. Secrecy of information is protected by the Confidential Relationship Act of 1985 of St. Kitts and Nevis. This Act prohibits the disclosure of any information obtained in the course of business, and applies to banks and professionals as well as Government officials. Prestige Can assist clients in becoming a citizen of Nevis through one of <?xml:namespace prefix = st1 ns = "urn:schemas-microsoft-com:office:smarttags" />Nevis's common citizenship program "The Investment Program". With a minimum investment of USD$350,000.00 one is eligible for this program. Investment may be in the form of Real Estate, Government Treasury bonds, local Banking or Charity Donations. A. US$35,000.00 or its equivalent in East Caribbean currency for head of household (male or female) or any other adult. B. US$15,000.00 or its equivalent in East Caribbean currency for either spouse. D. US$35,000.00 or its equivalent in Eastern Caribbean currency for unmarried dependant child of the applicant between the ages of 18 and 25. Nevis is an independent territory that is governed by the Nevis Island Administration and therefore has full authority to make new financial laws or amend existing laws. Nevis corporations are exempted from all forms of taxation. Trust Ordinance 1994, and Nevis Offshore Banking Ordinance 1996 are considered very user-friendly. There are no requirements to file information on beneficial ownership of offshore corporations. No requirements to file annual financial reports. Nevis has already updated legislation in compliance with OECD and is completely off the FATF black list. Presently Nevis is rated .THE IDEAL PLACE FOR INTERNATIONAL FINANCIAL ACTIVITY. Whilst most other offshore jurisdictions totally restrict the use of words like Trust, Finance, Gold, Silver, and Securities in a company name, Nevis offers much more flexibility. Incorporations are done within 2-4 hours and faxed documents are accepted for filing. Nevis boasts a variety of reputable accountants, lawyers, bankers, offshore service providers, Technical Institutions and other corporate related professionals. In addition Nevis has one well-established offshore bank; The Bank of Nevis International Ltd. Nevis has a first class golf course and one of the Premier Four Seasons hotels. Over the years, the government of Nevis has jealously guarded its impeccable reputation and has continuously demonstrated its serious commitment to the development of a solid international financial services sector. Consequently, the Nevis Island Government has worked with international agencies to host seminars, workshops and training sessions to ensure that all of the operators on the island work together to ensure that Nevis remains a reputable jurisdiction. permitted to conduct business in Nevis.